This delicate and delightful diamond pave and Turquoise necklace is a wonderful way to make a stylish statement this season. Rich and opulent, this unique diamond pave pendant necklace will help you sparkle and shine through all the seasons of the year. 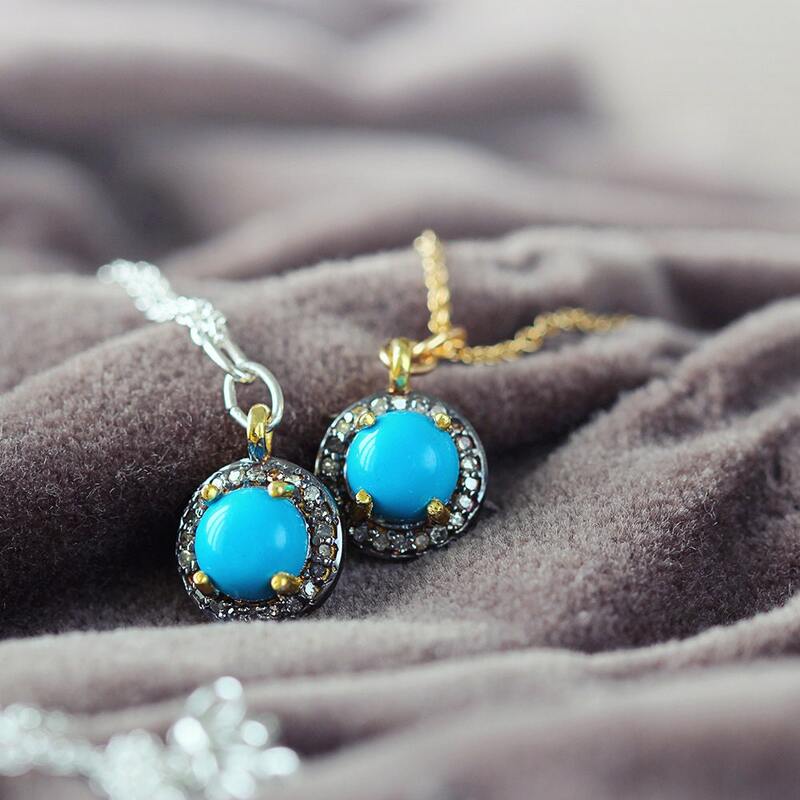 Genuine diamonds glitter around a turquoise stone and hangs from your choice of either a 14k gold filled chain or a sterling silver chain. Gold fill is also known as 'rolled gold', it's the next best quality after pure gold - it's not a plated finish and therefore doesn't rub off. 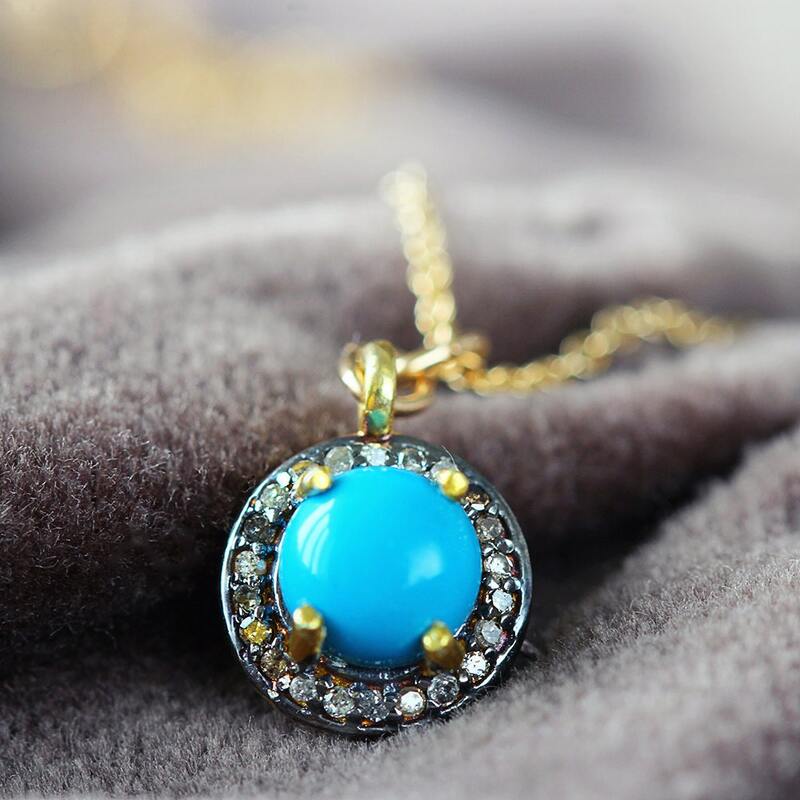 The dainty pendant size (1cm) and lovely stones and colours in this turquoise and diamond pendant necklace make finishing an outfit effortless. It looks great worn casually with jeans and a jumper, super smart and chic with the structured and tailored outfits of the city girl, or perfectly bohemian on the free-spirited, bikini clad, beach babe! Turquoise is the birthstone for December, and is thought to be a symbol of friendship, generosity, sincerity, and affection. This popular and sought after gemstone can offer a sense of upliftment and instil inner calm. 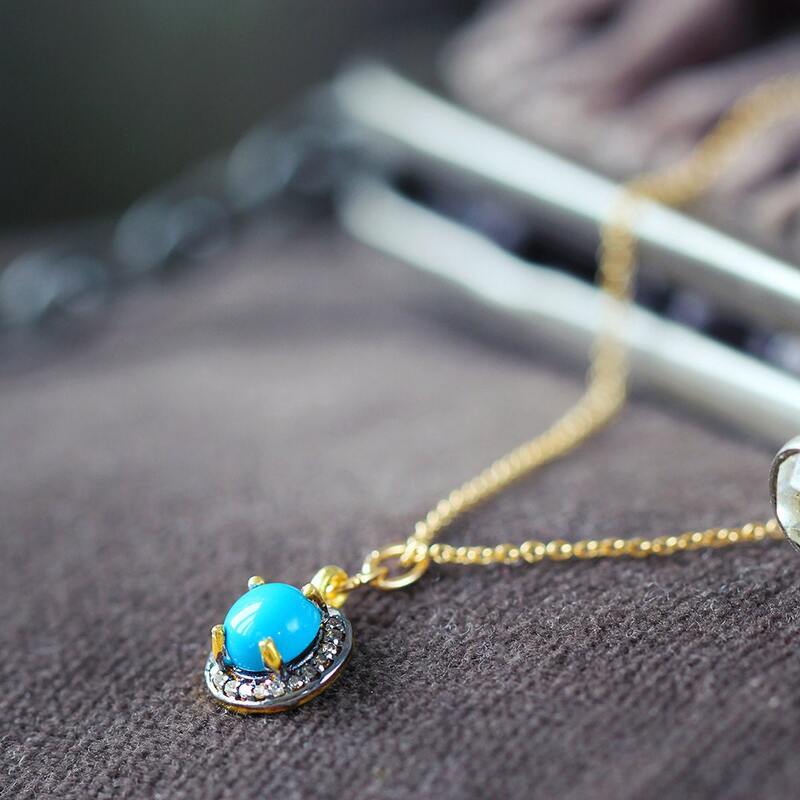 Given as a gift, Turquoise is said to bestow wealth and happiness upon it's receiver, making this necklace a truly thoughtful gift! The Diamond is the birthstone for April and is said to represent commitment, fidelity and trust, and to bring love and clarity into all partnerships and bonding relationships. Diamonds represent love, faithfulness, purity and innocence, making this beautiful necklace the perfect token of your love! 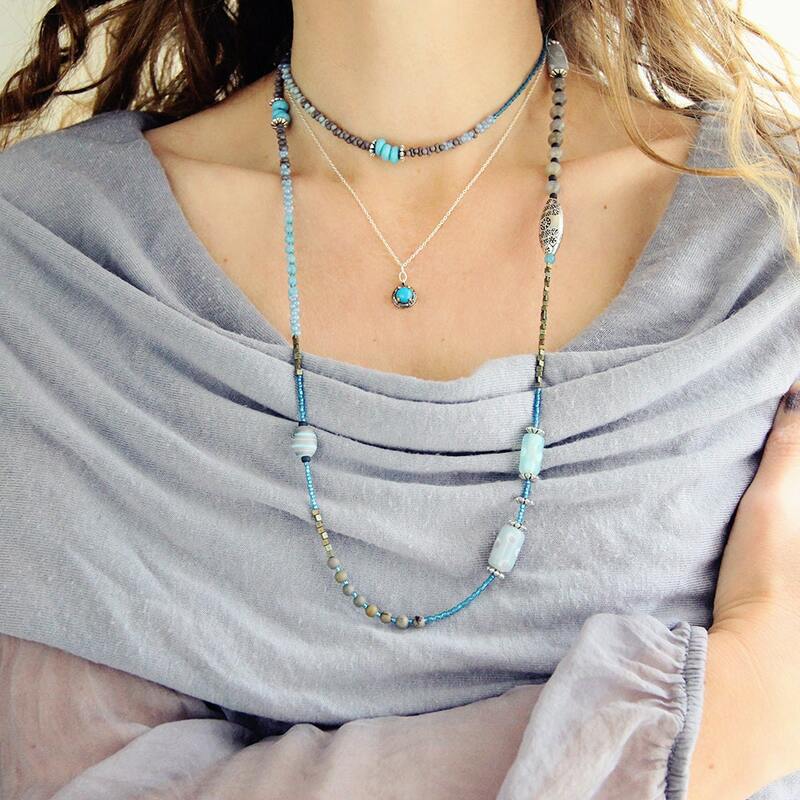 This beautiful necklace makes a stunning and thoughtful gift for a loved-one, family member, friend, or co-worker - especially for the woman, or girl, who loves jewellery, gemstones, who has an April or December birthday, or would simply enjoy the benefits that these stones offer.